TMT Bars are thermo-mechanically-treated through leading world tempcore based technology for high yield strength. The process involves rapid quenching of the hot bars through a series of water jets after they roll out of the last mill stand. The bars are cooled, allowing the core and surface temperatures to equalize. Needs a caulking gun to dispense. Not suitable for granite/marble joints (Use Dow Corning 991 here). UV resistant and can be used for exterior or interior applications. Surfaces should be clean, dry and non-oily/greasy before application. TMT steel i.e. Thermo Mechanically Treated (TMT) steel is a type of steel that goes through a special heat treatment process. This process ensures greater strength and allows for enhanced bending and welding. TMT steel is usually available in rods of fixed sizes. These rods are used to impart strength to a structure. We keep JSW, SAIL. 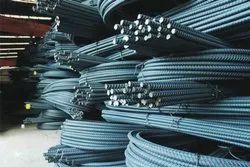 Our organization is involved in offering binding wire, which is extensive used across the industry, commercial places and homes. 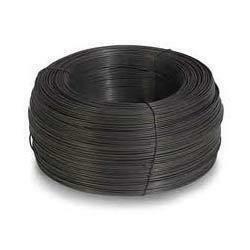 We can supply both ferrous and non-ferrous wire. These are fabricated using high grade galvanised iron, mild and stainless steels, so that the end product stands high on quality. 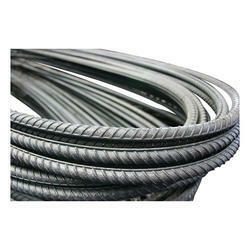 Looking for Construction Material - TMT, Cement, Binding Wires ?